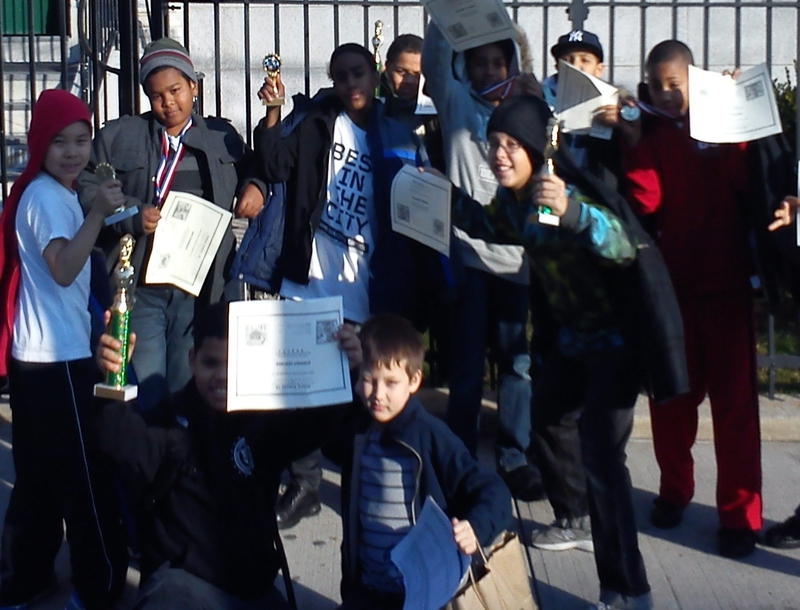 Saturday, January 7th – LACASA attends the Right Move Chess Tournament and returns with trophies in hand. Leo Matthes won 1st place for K-3rd Grade unrated. Johnny Sanchez won 1st place for 4-6th grade unrated. Rolando Cabral came in 3rd place in the rated section. Daniel Lin was the top 4th grader in rated section. Daniel Reyes was the top 5th grader in the rated section. This entry was posted in Uncategorized and tagged Chess, LACASA, LACASA is a project of Strycker's Bay Incorporated. (212) 874-7272 tel. (917)-591-4995 fax. info@stryckersbay.org (email), The Right Move. Bookmark the permalink.